Buying a home is always a momentous occasion in the life of a family. The harsh reality of the matter however is that buying a home is an expensive proposition. A flat or a house in a good residential area in any major city will cost you big bucks. So, looking to buy a home on your own, without a bank loan isn’t the most sensible thing in the world, and most often out of the realm of possibility. Applying for a bank loan can very often be a daunting task as most people don’t understand the way and processes followed by banks. 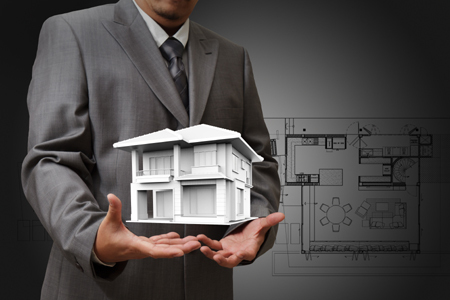 So here are a few things to consider when approaching a bank for a home loan. Your age: Always remember that banks will prefer a younger candidate as in their estimate, someone younger, somewhere in their late 20s or early 30s will be a more viable loan option, as they have a longer career ahead of them and can therefore afford to take a bigger loan. By comparison someone approaching their 50s would receive a smaller loan amount considering that they have about 10 years of their career to repay the same. By rule of thumb the age of 27 to 34 are considered ideal to grant home loans to. Your relationship with the bank: A bank values return business from customers just as much as say a shopping mall or a supermarket. This simply means that you are likelier to get a loan from a bank where you have had an account for a few years, or transact regularly. Always approach your home bank branch and have a frank discussion with your bank branch manager about your qualification for a home loan. That being said however, you should also approach a couple of other banks to be able to have a clearer picture of the kind of activity that is going on in the home loan market. Understanding eligibility: Remember that your eligibility for a home loan depends directly on how a bank perceives you as a customer. This means that the bank will take into account your age, your employment status, your annual income and credit history into account, before making a decision to invest in your home. Always keep your documents in order, as a salaried individual your salary statements need to be in place. As a self employed professional, your Income Tax Returns for the past 3 years need to be in place along with a Profit and Loss statement and a balance sheet verified by a CA for the same duration. Your credit history: This term simply means your history of repayment of loans and outstanding arrears. Now this is a tricky business. On the one hand a negative credit score can seriously hamper your chances of securing a home loan, the lack of a credit score (in case you’ve never had a bank loan or credit card) can also be detrimental to your cause. Therefore, in such a case you need to have had a great relationship with a bank or approach a government or PSU bank for a home loan. Now that you have a fair understanding of how a bank decides to give out a home loan, you’re better equipped in order to prepare yourself to approach a bank with the right documentation and confidence. 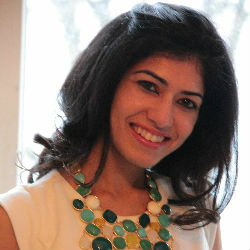 Sujain Thomas has written many good, informative articles on different categories like entertainment, home decor, real estate etc. Through this article, she gaves some information on an ideal location for your dream home with all the facilities and entertainment options within reach.